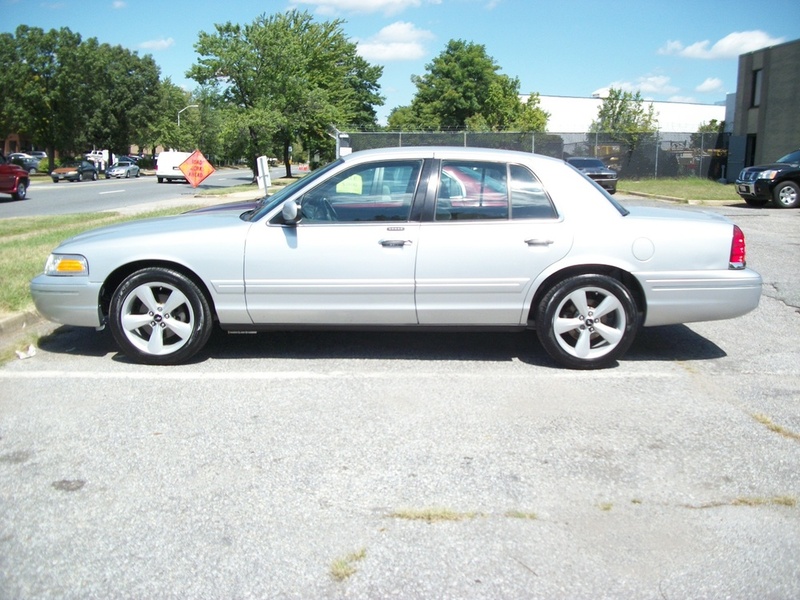 2003 Ford Crown Victoria --- This driving machine has a 4.6L V8 engine, handles very smoothly, and has premium Ford Mustang 5.0 Rims. It has Silver Exterior, Gray Cloth Interior, Power Windows, Power Locks, Power Mirrors, AM/FM/CD/Aux Pioneer Radio, Air Condition, Cruise/Control, Remote Keyless Entry, and Much, Much, More. This extremely well kept vehicle has only 91k miles. This vehicle has successfully completed a 112-point Dealer Certification process and has passed Maryland State Inspection. This vehicle will be sold with a 30-day/3,000 miles warranty, whichever occurs first.